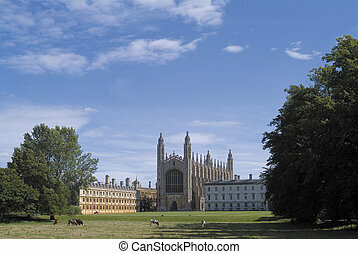 Henry viii king of england. 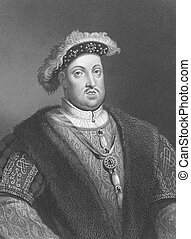 Henry viii (1491-1547) on engraving from 1838. king of england during 1509-1547. engraved by w.t.fry after a painting by holbein. 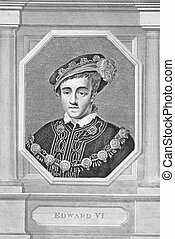 Henry VIII (1491-1547) on engraving from 1838. King of England during 1509-1547. Engraved by W.T.Fry after a painting by Holbein. 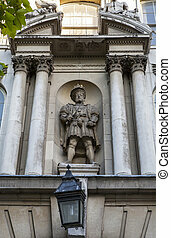 The only statue of King Henry VIII on public display in London. 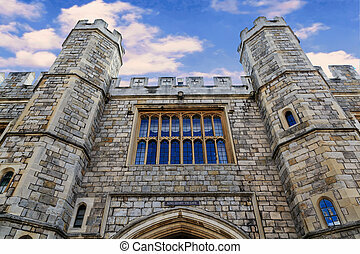 It is located above the King Henry VIII Gate at St. Bartholomews Hospital in London. 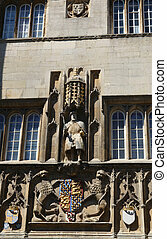 A view of the King Henry VIII statue on the magnificent gatehouse of Trinity College in Cambridge, UK. 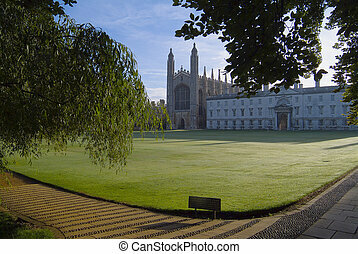 King Henry VII founded Trinity College in 1546. 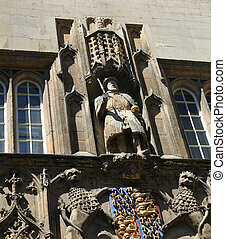 Statue of Henry VIII above the entrance of King\'s college. 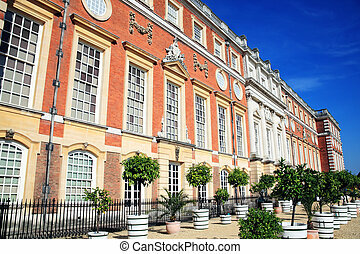 Instead of a scepter Henry is carrying a table leg; a student prank of ancient years. 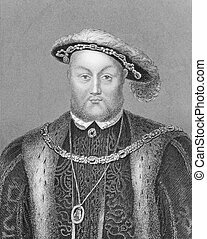 Henry VIII (1491-1547) on engraving from 1830. King of England during 1509-1547. Published in London by Thomas Kelly. 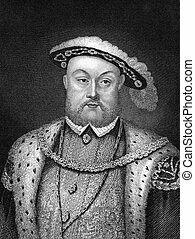 Henry VIII (1491-1547) on engraving from the 1800s. 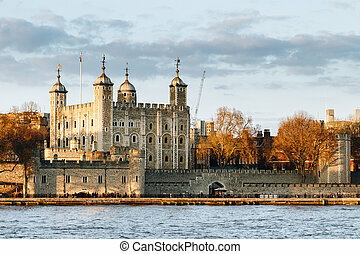 King of England during 1509-1547. Engraved by W.Holl and published in London by W.Mackenzie. John King of England (1166-1216) on engraving from 1830. 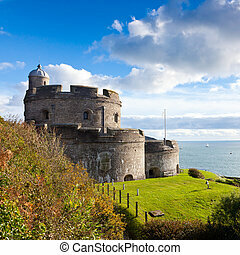 King of England during 1199-1216. Published in London by Thomas Kelly. 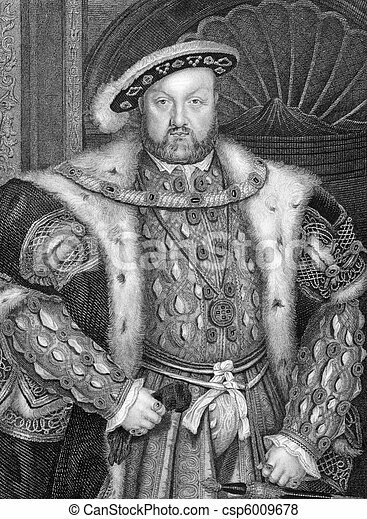 Henry VIII (1491-1547) on engraving from the 1800s. 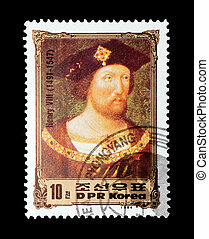 King of England during 1509-1547. Engraved by Edwards from an original portrait by Holbein and published by Virtue in London England, 1848. 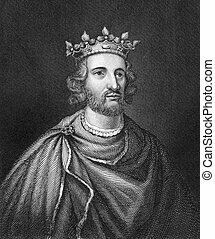 King Stephen (1096-1154) on engraving from 1830. 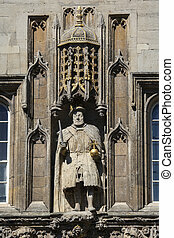 Grandson of William the Conqueror and last Norman King of England during 1135-1141. Published in London by Thomas Kelly. 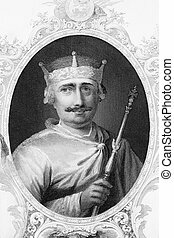 King Stephen (1096-1154) on engraving from the 1800s. 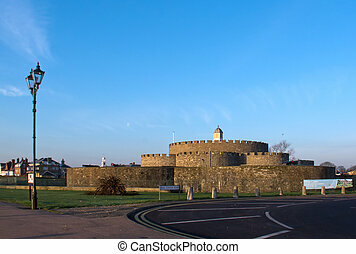 Grandson of William the Conqueror and last Norman King of England. Published in London in 1840 by Virtue for James Barclay "Complete Universal Dictionary ". 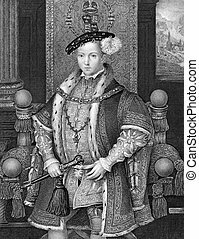 Edward VI (1537-1553) on engraving from the 1800s. 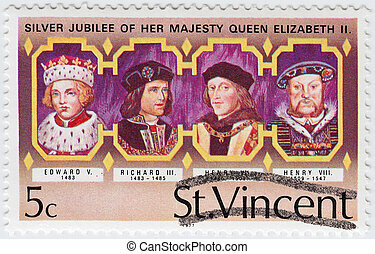 King of England and Ireland during 1547-1553. 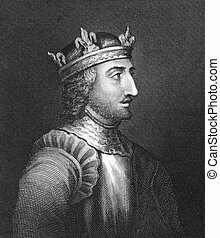 William II King of England (1056-1100) on engraving from the 1800s. King of England during 1087-1100. Engraved by J.J.Crew and published by J.S.Virtue. Edward VI (1537-1553) on engraving from 1840. King of England and Ireland during 1547-1553. Engraved by H.T.Ryall after a painting by Holbein and published by the London Printing and Publishing Company. James I (1566-1625) on engraving from 1830. 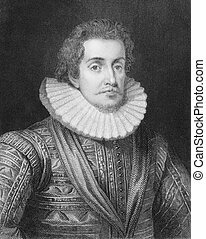 King of Scots as James VI during 1567-1625 and King of England and Ireland as James I during 1603-1625. Published in London by Thomas Kelly. 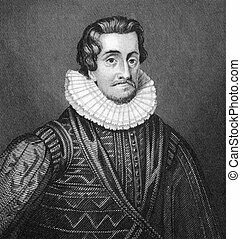 James I (1566-1625) on engraving from the 1800s. 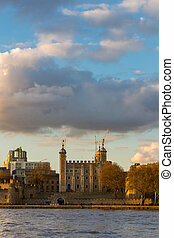 King of Scots as James VI during 1567-1625, and King of England and Ireland as James I during 1603-1625. 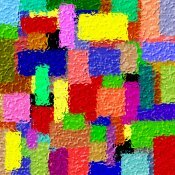 Engraved after a painting from Paul Van Somer. Charles I of England (1600-1649) on engraving from 1830. 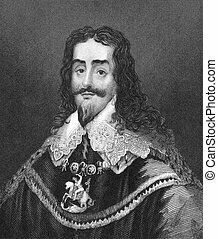 King of England, Scotland and Ireland from 1625 until his execution. Published in London by Thomas Kelly. Henry IV of France (1553-1610) on engraving from 1859. 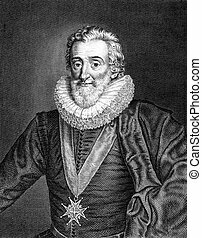 King of France during 1589-1610. Engraved by T.Kuhner and published in Meyers Konversations-Lexikon, Germany,1859. 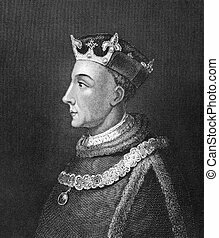 Henry V of England (1386-1422) on engraving from 1830. King of England during 1413-1422. Published in London by Thomas Kelly. 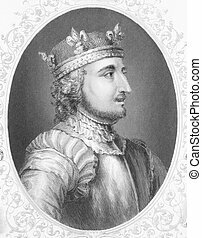 Henry III of England (1207-1272) on engraving from 1830. 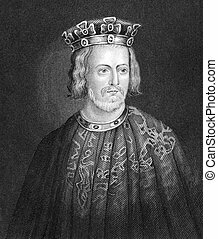 King of England during 1216-1472. Published in London by Thomas Kelly.